LOVIN' the race! Runners at the Feaster Five in Andover, MA. Some runners are filled with so much JOY...it's infectious! I took this photo just a few seconds after we crossed the starting line. These runners were just behind me. (Yes, I was running as I took this photo. 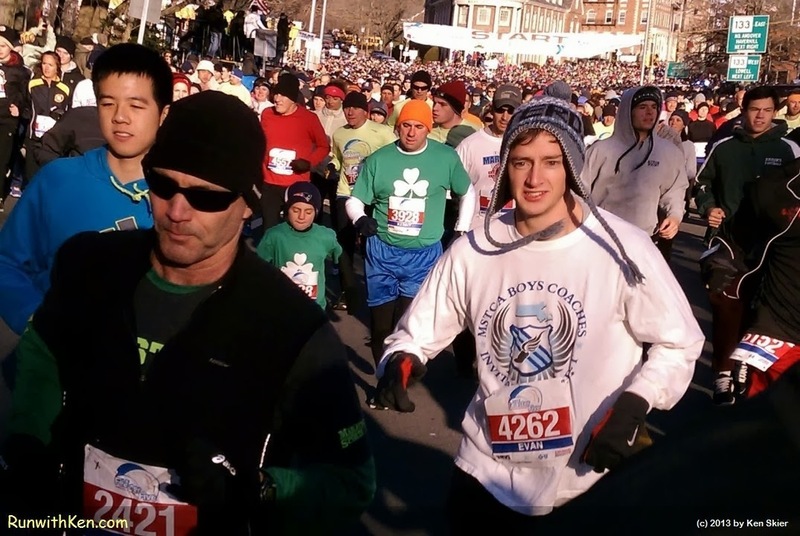 Over 11,000 of us ran on this cold Thanksgiving race. We all had a terrific time!